Work is getting busy (thankfully!) but I want to keep my hand in these challenges. My bingo card is slightly interactive but very basic in design; it doesn’t even have the correct number of squares. However, I always learn things when I do these challenges and this time I re-learned how helpful the background grid can be. 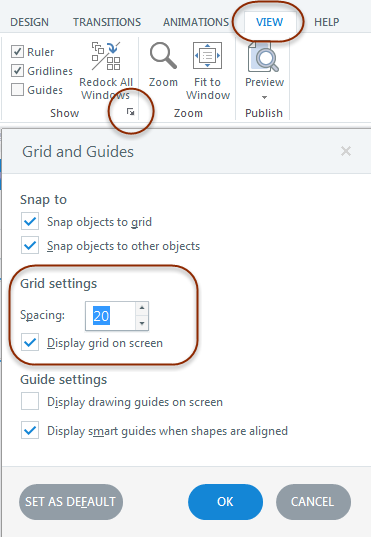 In Storyline 2, open the Grid and Guides dialogue box. Set the spacing as small as you like. Your objects will snap to that grid. To override the grid temporarily, hold down the Alt key while you drag an object. Of course, I’ve used grids before, but in this challenge it helped me align those little boxes very quickly, indeed. The size of your grid may require a bit of math so you get the grid you want to fill your layout. We were also requested to prepare a PDF so we can print it off and play! This was very easy to do using Adobe Acrobat Pro. 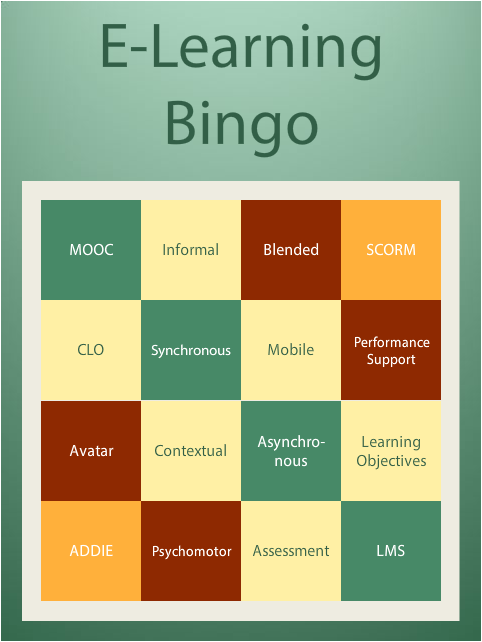 I took two screen shots of the bingo card, saved them as PNG files and simply dragged them to the Combine Files tool. 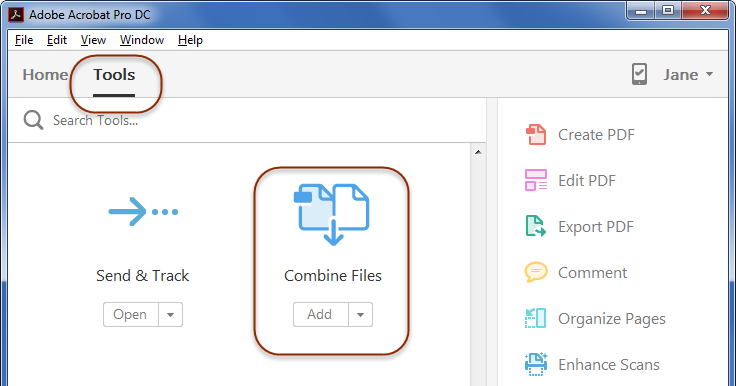 Combine Files is a tool in Adobe Acrobat Pro. I subscribed to Adobe’s Creative Cloud last fall. It’s expensive and I’m quite sure I’m not getting my money’s worth out of it but I’m also becoming dependent on having those tools quickly available. I use Illustrator and Photoshop weekly, if not daily. Here is my slightly interactive Bingo Card. 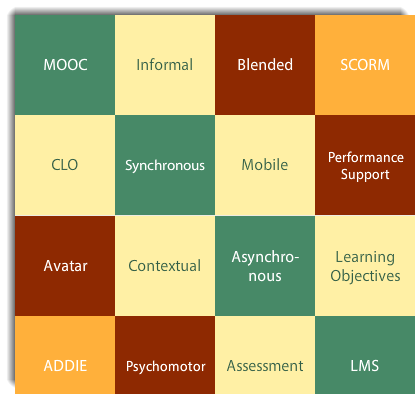 A slightly interactive eLearning bingo card.